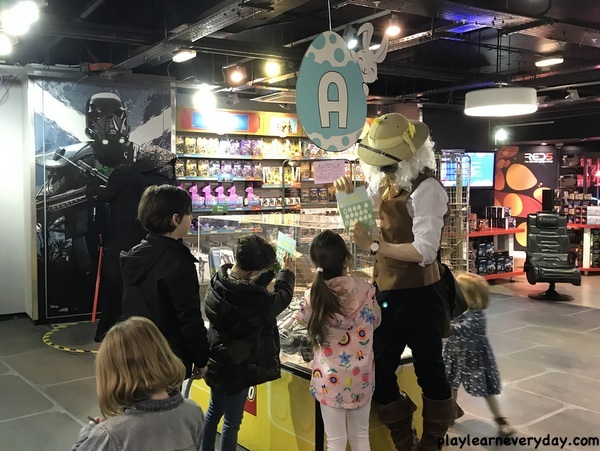 We were invited to a very special early morning experience at Hamleys Toy Shop in London the other day to try out their Easter Egg Hunt! 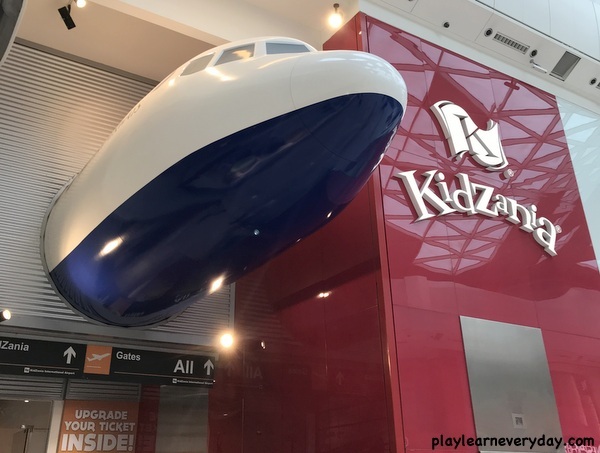 We were very lucky to have this behind the scenes look at an empty Hamleys store, but the great news is that the Easter Egg Hunt is open to all over the Easter Break and there is still time to visit and have a go (until Monday 22nd April)! 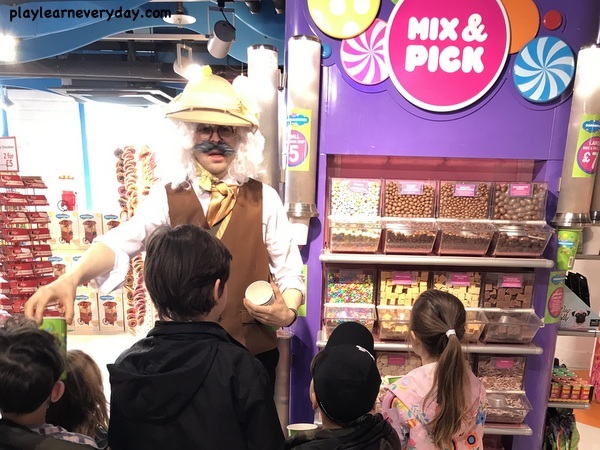 We arrived bright and early and set off on our Easter Egg Hunt around the shop, we were given a sheet to fill in and wandered around all 7 floors of Hamleys looking for big colourful eggs with letters on them to fill in our sheets. 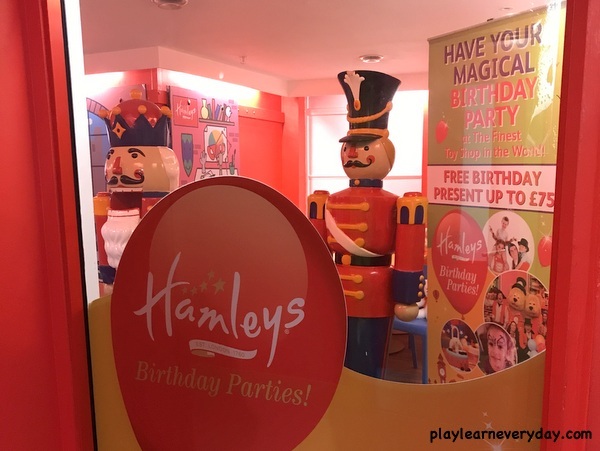 Once you find all of the clues you can take a picture of your finished sheet and post on Instagram using #Hamleys for a chance to win a birthday party at Hamleys! 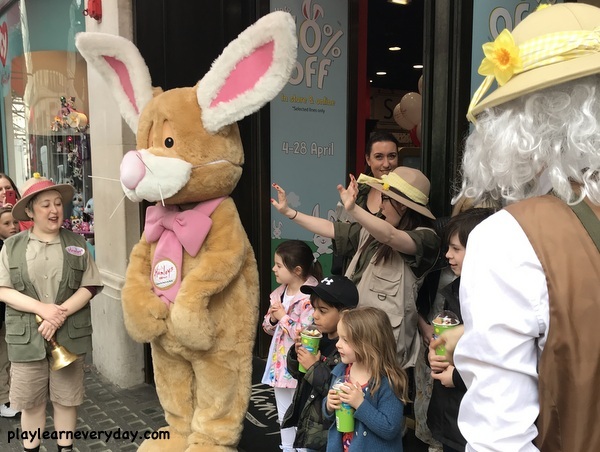 There are so many other activities going on at Hamleys as well, after our early egg hunt we popped back outside for the grand opening of the shop. 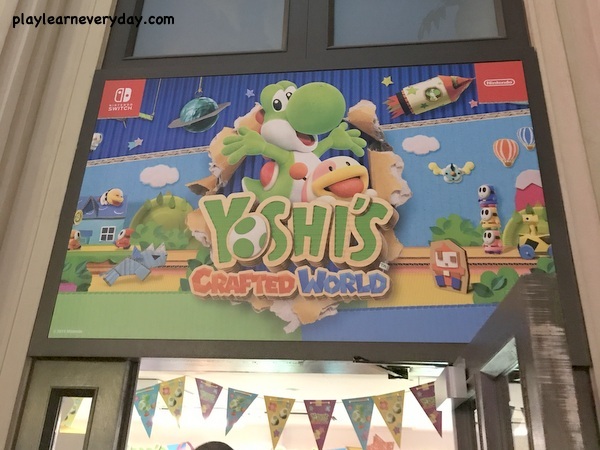 It's fantastic! 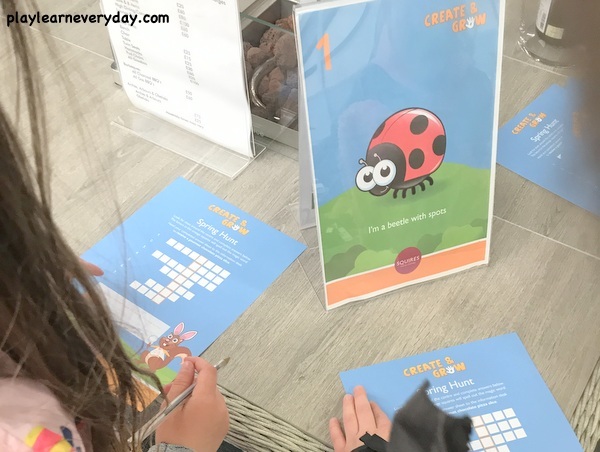 Clearly we are not usually early birds and had no idea that this sort of thing went on, but there's a whole big count down and one child is chosen to ring the bell to open the shop each day! 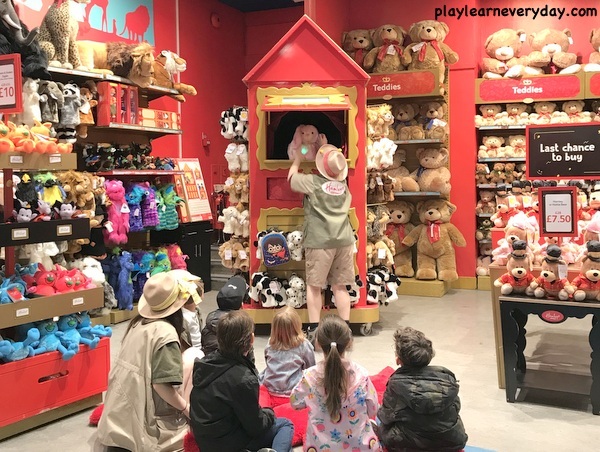 There are also puppet shows several times a day (we watched one and the kids absolutely loved it, they were laughing hysterically the whole time!) 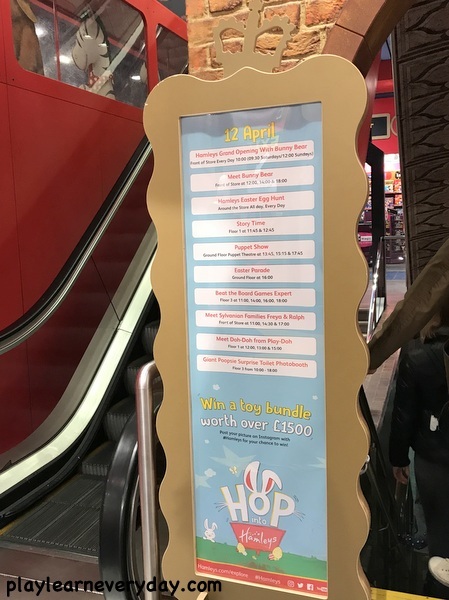 There is a schedule by the escalators each day with a list of events, I had no idea there was so much to do at Hamleys, so definitely take a look! And over Easter there are even more things going on than usual (check out the whats on section of their website), there is a Lego make and take of an Easter basket, available on certain days, which we also got to try out and the kids really enjoyed being able to make their own little baskets to bring home. 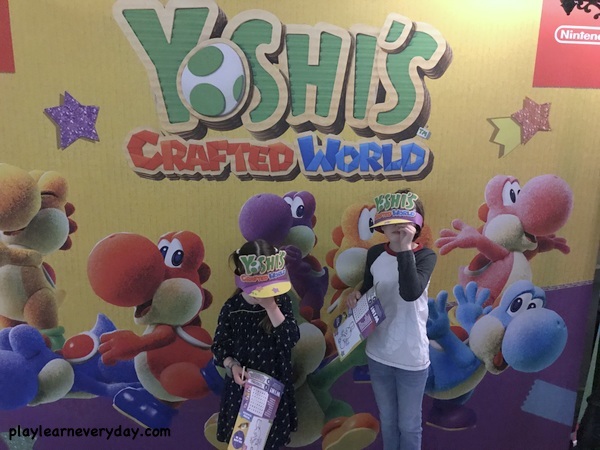 There are also meet and greets with special characters on some days, so do check the schedule). 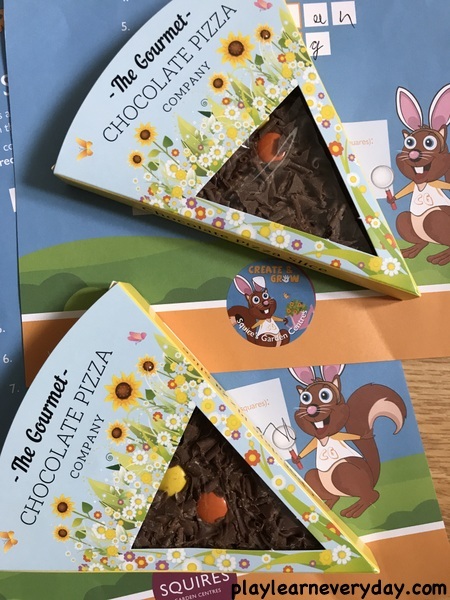 And if you're short on Easter treats, then you can even pop over to the Scrumpalicious sweet shop to choose some sweets to take home too! 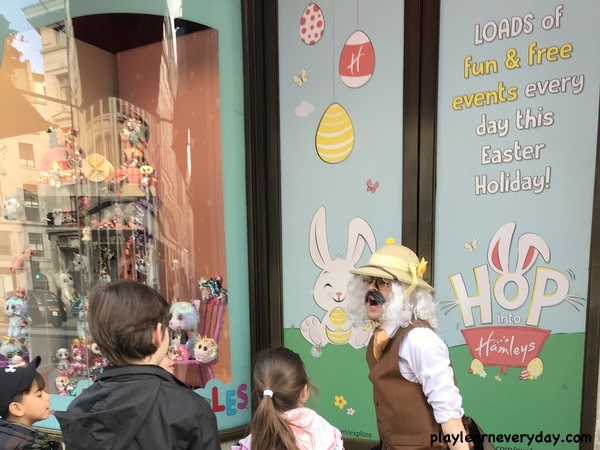 There truly is so much to do at Hamleys over Easter, we highly recommend that you pay them a visit! 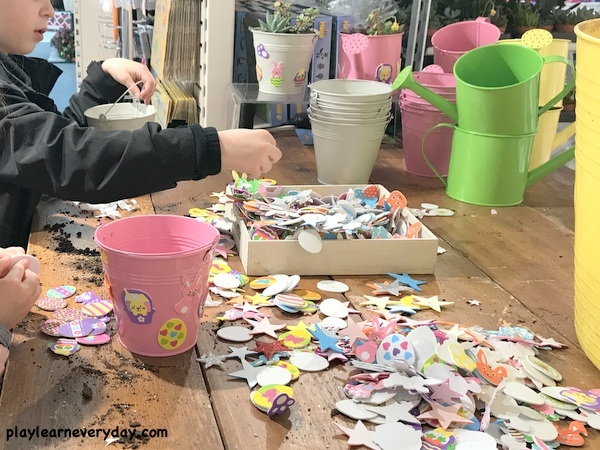 We are big fans of a day out at the local garden centre, so when Squire's Garden Centre invited us to to try out their Create and Grow activities over the Easter break from school of course we jumped at the chance. 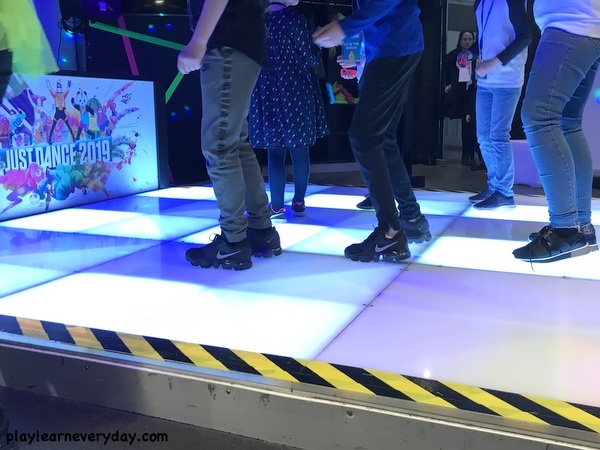 There are 15 Squire's locations around London and Surrey, so do take a look to see if there is one near you. This Easter the activities are available to take part in from April 8th - 18th, weekdays from 10am to 3pm. 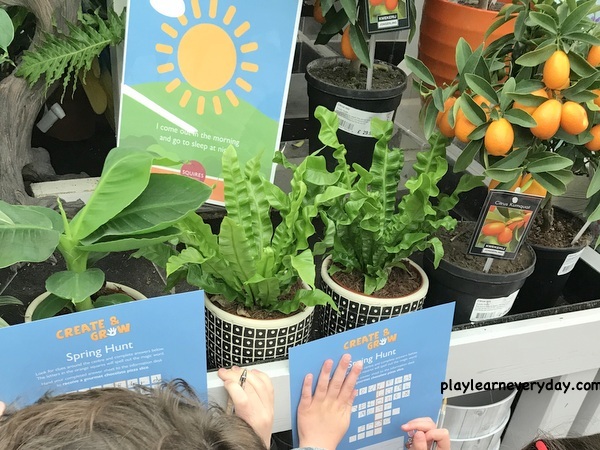 There is a Spring Hunt to find the clues around the garden centre and then reveal a mystery word to receive a sticker and a sweet treat, this costs £2 per child. 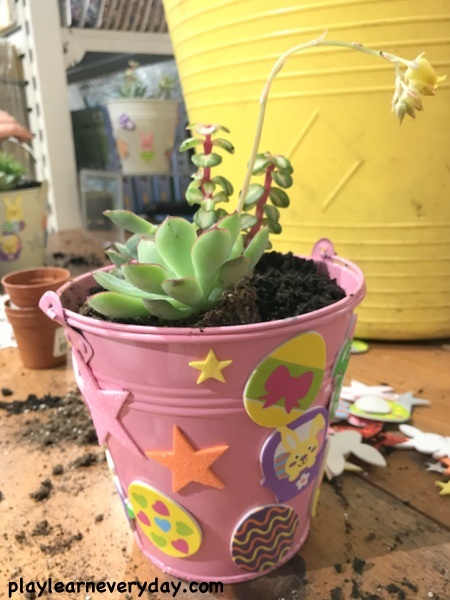 The other activity is to plant a pot of succulents and decorate it with Easter stickers, the cost for this is just £6 per child. 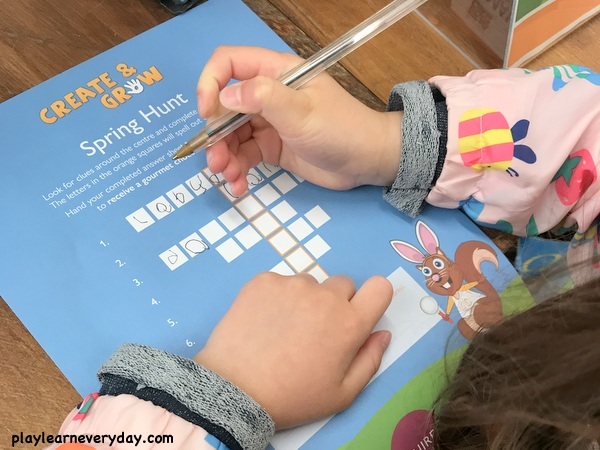 We started with the Spring Hunt, this is something that we've done before at Squire's, so the children were familiar with how it works and got stuck straight in. 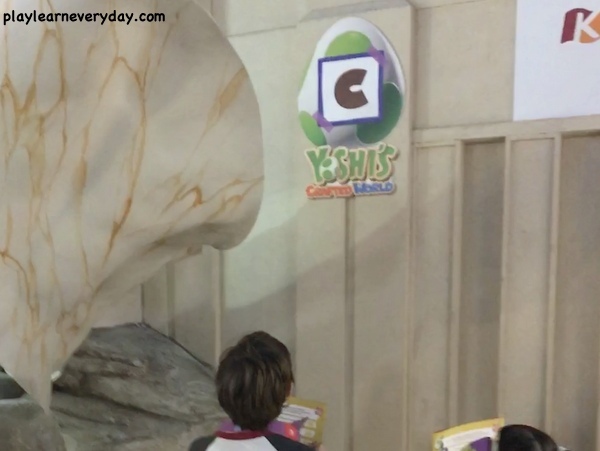 We picked up our sheets from the information desk and set off around the shop looking for clues. 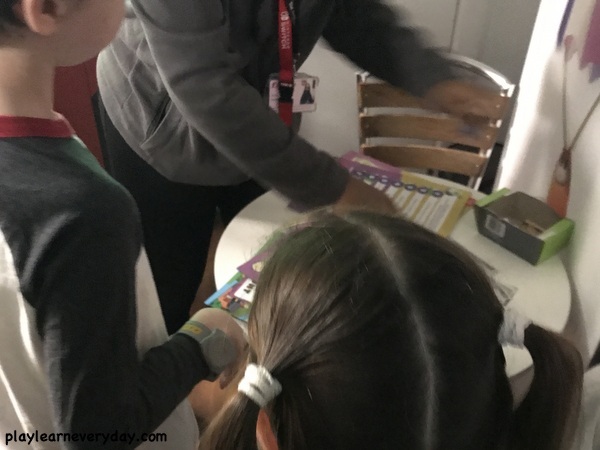 There were 7 clues in total to find, so we walked around looking for them. Each clue is numbered and has a picture as well as a written clue to help you fill in the blanks. 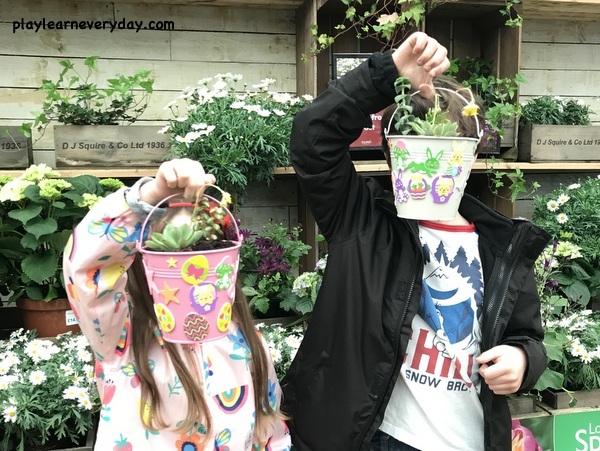 Each of the children then chose which three plants they would like in their Easter planters, there was a huge variety of lovely little plants to choose from. 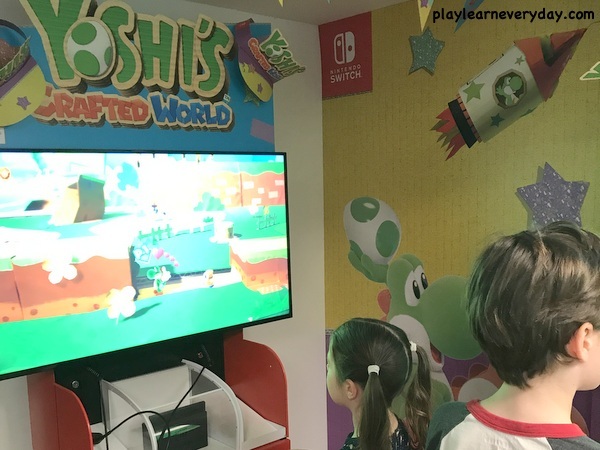 They really enjoyed this part and were so excited that they got to have three and not just one. Once chosen we went back to the table to get started with the planting! 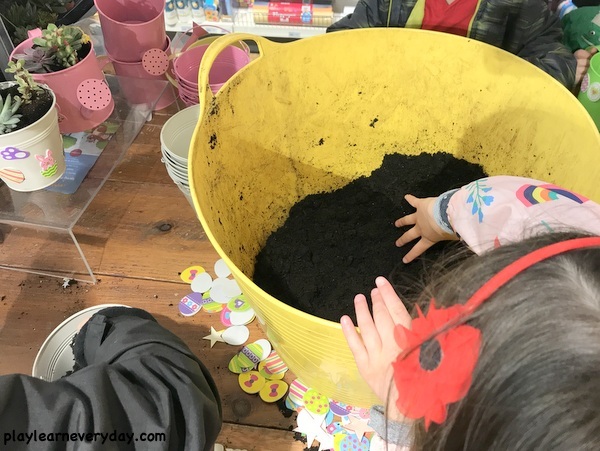 The very kind man who was running the activity offered to scoop up the soil for us, but as we're not afraid of getting a bit dirty those little hands went straight into the soil and scooped it into the plant pots. 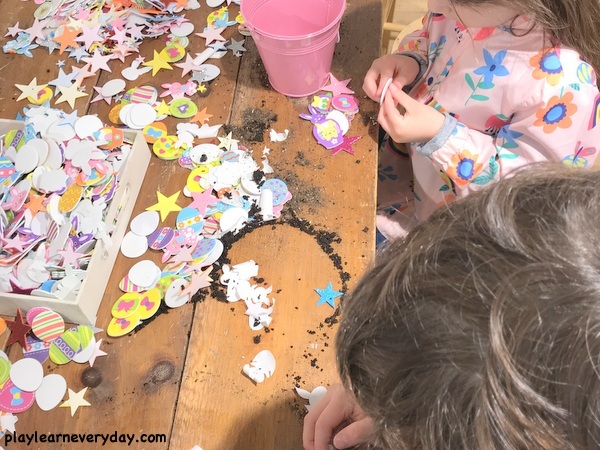 I do recommend bringing some hand wipes with you as this did get a bit messy, but it's all a part of the experience and the kids do love getting stuck right in. 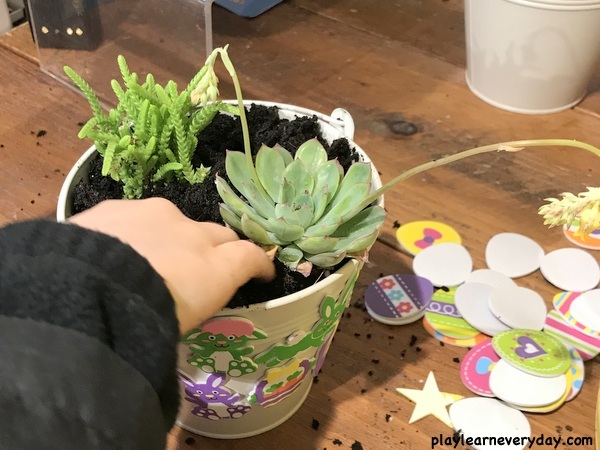 We were then shown how to get our little plants out of their individual pots and plant them in the soil of our planters. 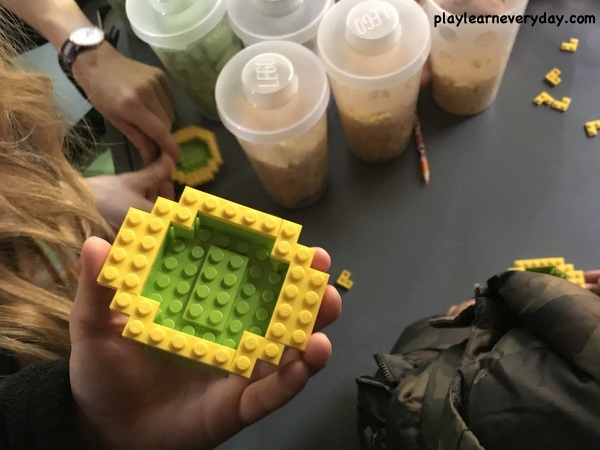 The children did this really well and I was very impressed that they managed to keep them in tact as they moved them from one pot to another. And their finished Easter planters look so lovely! 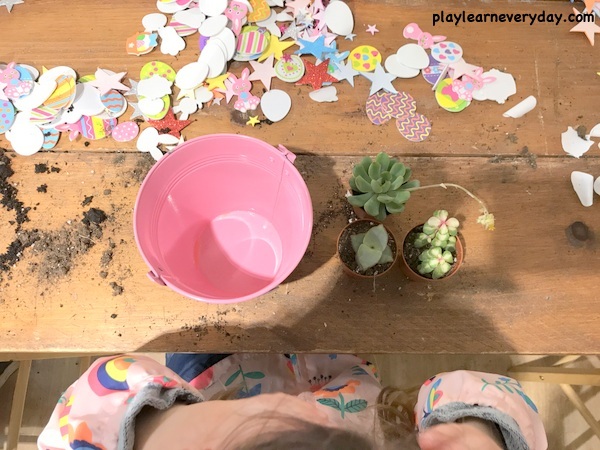 They had a great time putting them all together and the best part is that they are very low maintenance for a family who aren't necessarily green fingered. 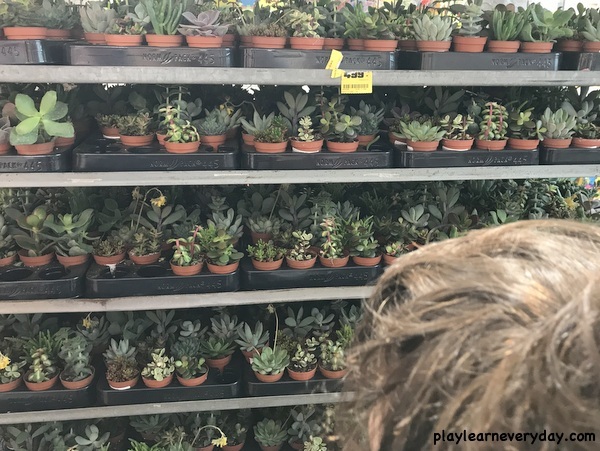 We were told that all we need to do is water them every few weeks, which is perfect for us! 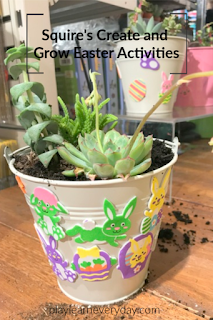 We highly recommend visiting your local Squire's this Easter to take part in their Create and Grow activities. 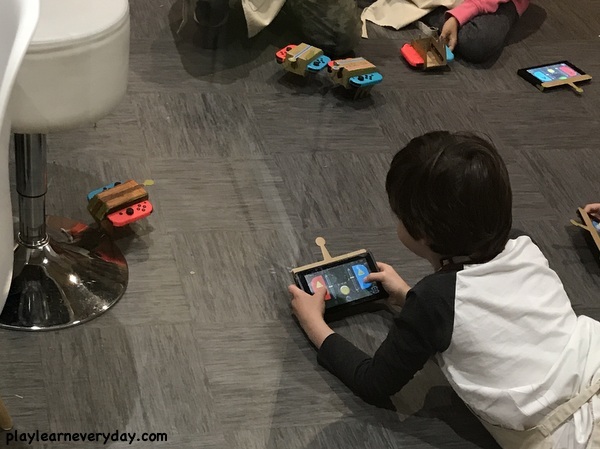 Even though we have done this as a review, it is definitely something that we would choose to do again as it's so easy and fun for the children and they love being able to bring home something that they have made.